The following sections describe some of the new cutting edge technology that has been incorporated into Amblit Technologies products. If you are interested in learning about some of these technologies, read on. Otherwise, the information included here isn't necessary to successfully use any of our products. Recognizing and understanding written English is difficult with all of the word and phrase ambiguities common to the English language. Introduce slang and it becomes more challenging. Add to the mix spoken English, where the speech recognizer routinely garbles and phonetically spells or mis-spells words depending on your point of view, and the nightmare begins. Amblit Technologies is on its fourth version (third generation) language recognition system. Whereas the initial versions were pattern driven, with the ability to quickly recognize 10,000's of English language patterns in context, the latest version is object driven. And, we have the design complete for the fifth version, which will support 100,000's of patterns with the same number of language phrase definitions, which we hope to deploy next year. Amblit Navigator is a client program with a sophisticated user interface that incorporates speech/language recognition. 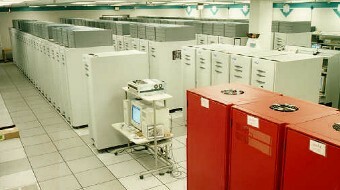 While it runs on a user's desktop or laptop computer system, the user's Semantic Agent, various servers, and the various software agents run in virtual space on multiple networked computer systems that are accessible through the Internet. When the user is not logged in, his virtual space computing requirements are miniscule. There is a small overhead for message handling and job scheduling. When the user is active, his Semantic Agent program is also active, directly supporting him. A Semantic Agent at any time could be drawing upon any number of other programs (e.g., software agents) to satisfy some user request. At any moment there can be 1000's of other users making their requests. The Amblit environment expands and contracts to support these users and their requests. Amblit Technologies products operate well with either low or high speed Internet communications. To protect user information, communications are typically encyrpted with dynamic 200+ bit keys. Communication between Amblit network components (e.g., Semantic Agent, Servers, Applets) also utilize high-speed, secure communications. Amblit's communication implementation utilizes existing communication standards, thereby positioning Amblit's products to take advantage of new advances in wireless technologies and in other communication areas. A software agent is a computer program that can run virtually anywhere at any time in a computer network. An intelligent agent is a computer program that can take either incomplete request information and satisfy a user request, and/or take an incomplete response and determine what to do in a fashion that satisfies the initial user request. Today, there are a lot of virtual and semi-intelligent agents. The most successful agents are those that have a very well defined purpose and have access to the resources necessary to achieve those purposes. Amblit Technologies has developed an architecture that utilizes a hiearchical family of virtual and intelligent agents. It is these agents that satisfy individual user requests. Another challenge is to effectively provide information to a user when they want it and in the form that they want to see it in. It does not matter that they may not know exactly what that they want, or where the information might reside. They want it now. The second part of the challenge is to save that information in a location and a form that is easy for the user to work with. Unfortunately, each user may have different requirements for those locations and forms. Today, user interaction consists of visual, tactile and auditory. Each request and its response can use a different combination of these human senses. This afternoon, the user may want to talk to his computer; tomorrow, to key in his requests; and the next day, click from a list of options. The choice should be the users. Finally, the user should be able to configure and reconfigure his environment, whenever and however he wants to. Successful user interfaces have always been a challenge. Amblit Technologies products are evolving to meet that evolving challenge. "Much learning does not teach a man to have intelligence."